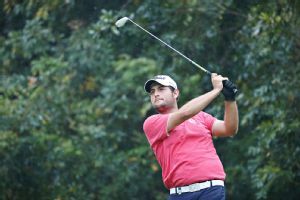 Brian Stuard topped the OHL Classic leaderboard at 5 under with three holes left Thursday when first-round play was suspended for the day because of rain and wet conditions. Spain's Alvaro Quiros shot a 5-under 67 Friday to move to the top of the Nordea Masters leaderboard along with Frenchman Victor Dubuisson and Eddie Pepperell of England. Spain's Alvaro Quiros will take a commanding lead into the final round of the Rocco Forte Open in pursuit of the victory to get his career firmly back on track. A change of coach and a couple of glasses of red wine helped Eddie Pepperell claim a share of the lead after the opening round of the Qatar Masters. Spain's Alvaro Quiros had mixed emotions after recovering from squandering a seven-shot lead with 12 holes left to beat Zander Lombard in a playoff at the Rocco Forte Open. 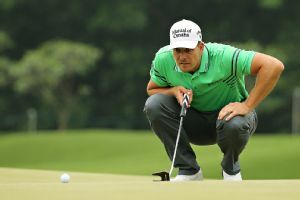 Second-ranked Henrik Stenson shot an 8-under 64 to share the third-round lead with England's Eddie Pepperell at the Nordea Masters on Saturday. Alvaro Quiros and Simon Dyson each shot a 5-under 67 to share the lead after the first round of the China Open on Thursday. 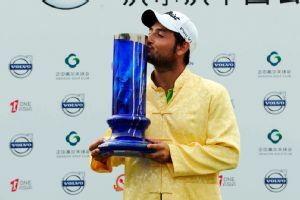 A day after Alexander Levy played a near-perfect 62 in the second round at the China Open -- the best 18-hole score of his career -- the Frenchman was happy just to get off the course with a 2-under 70 Saturday in pelting rain with gusting winds.